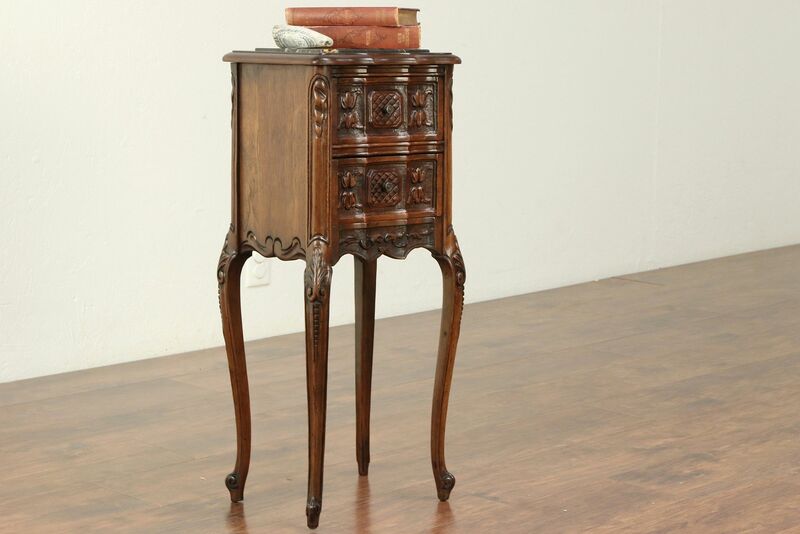 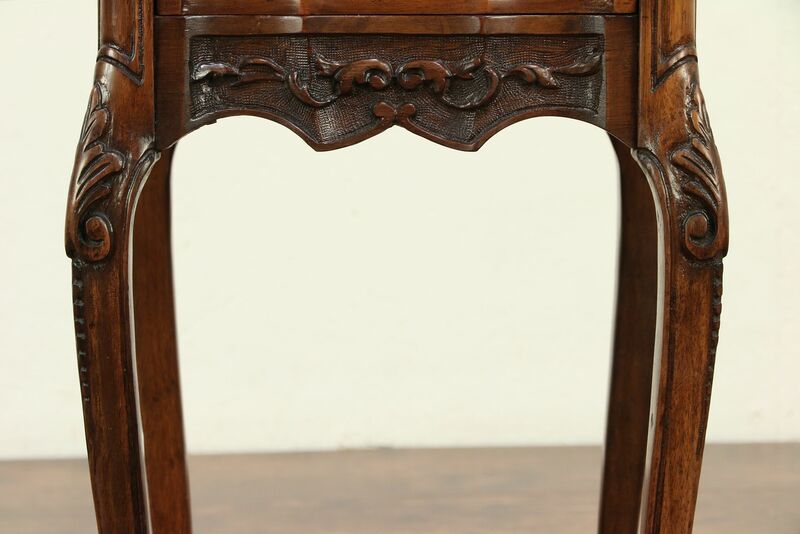 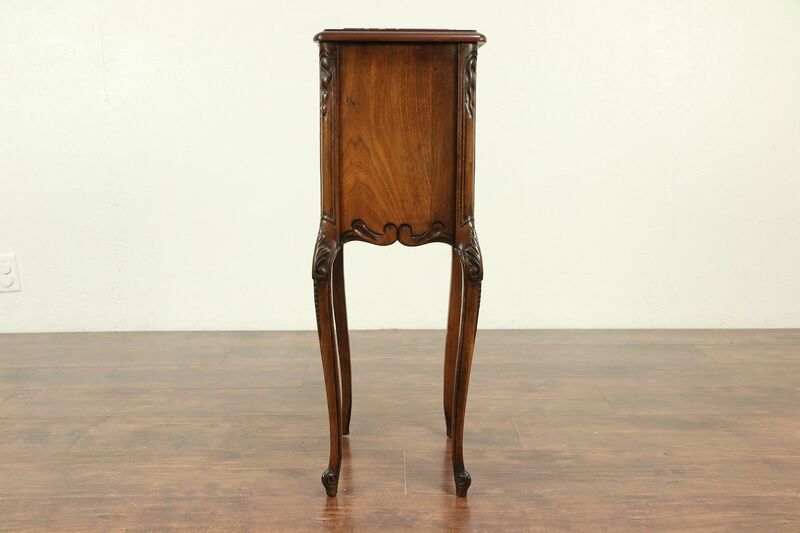 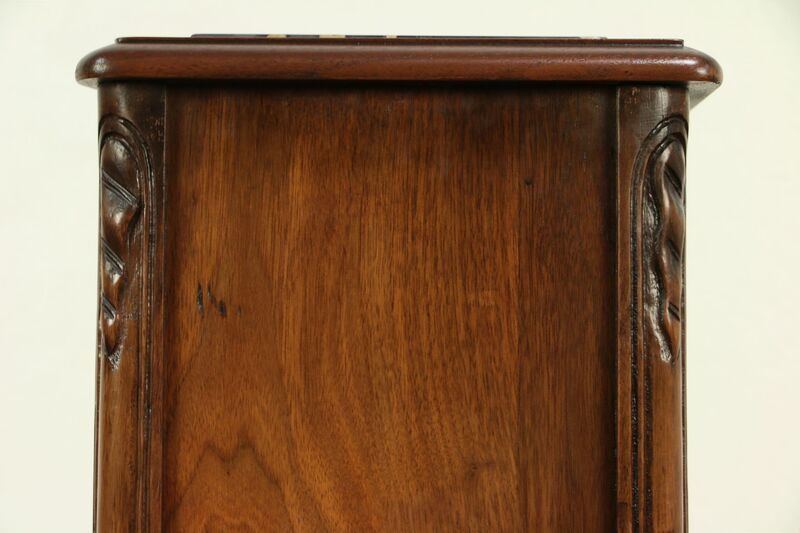 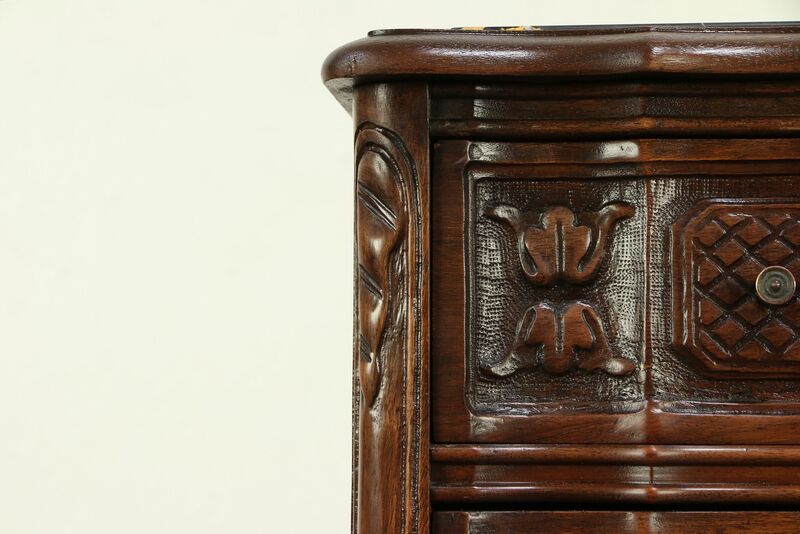 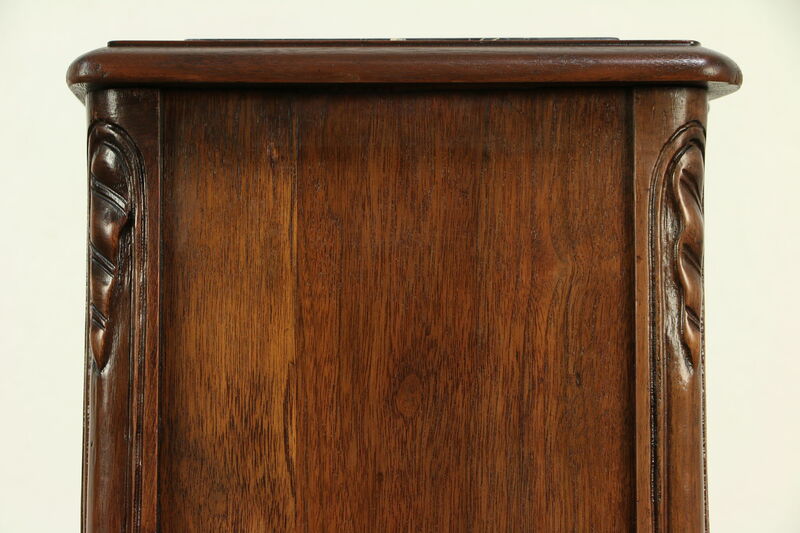 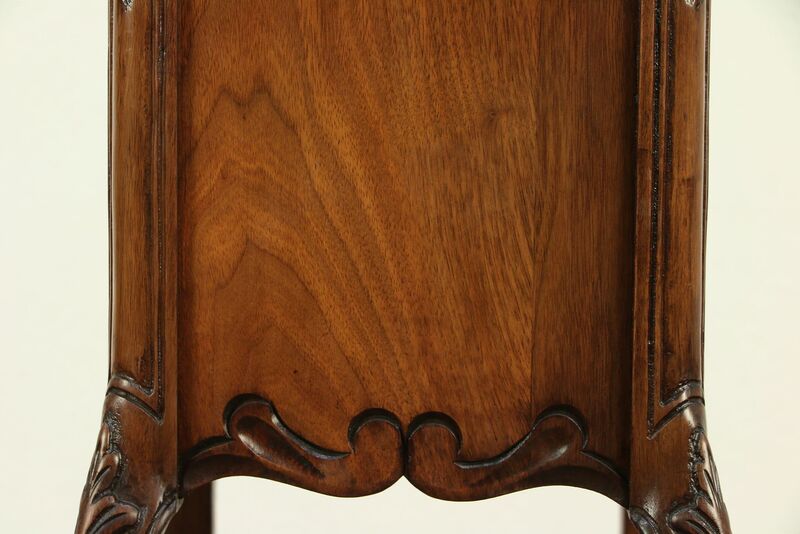 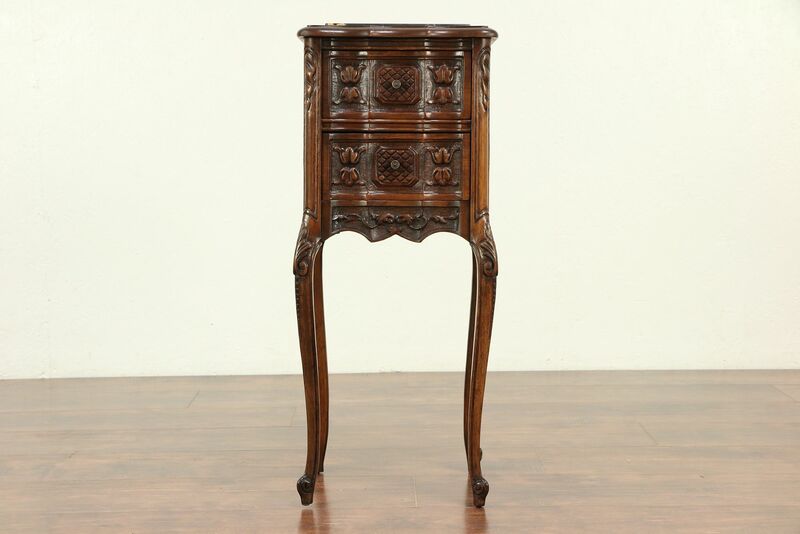 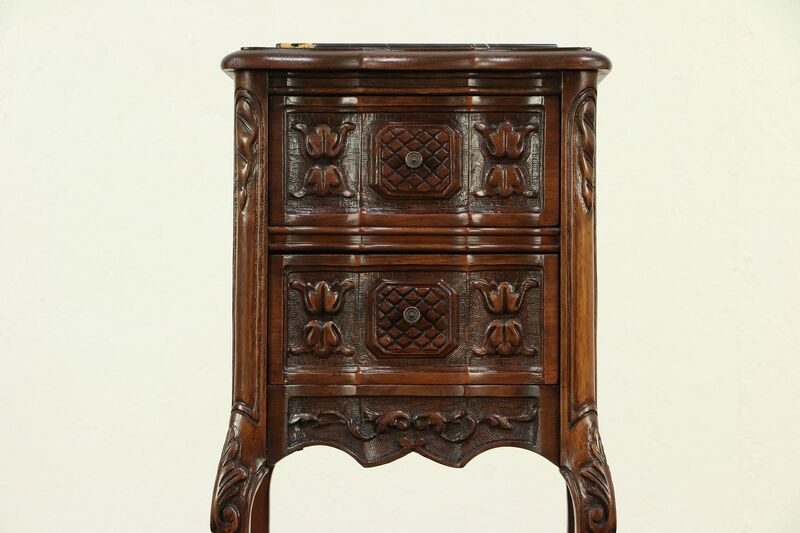 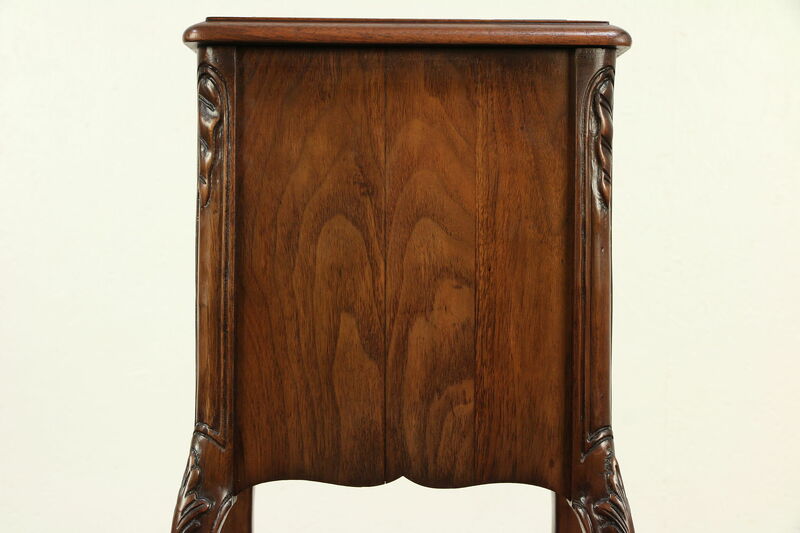 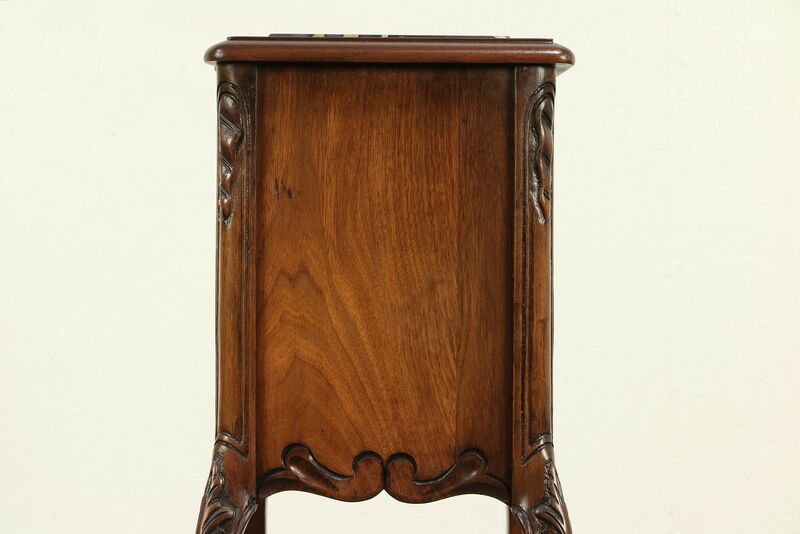 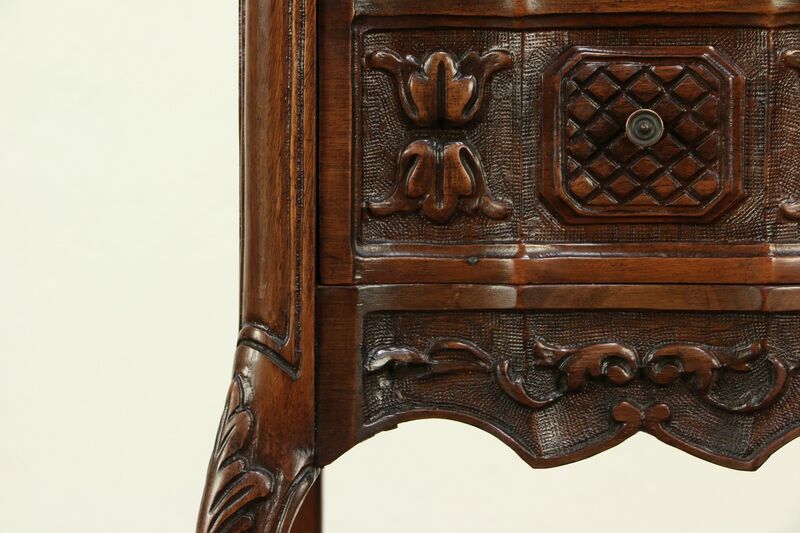 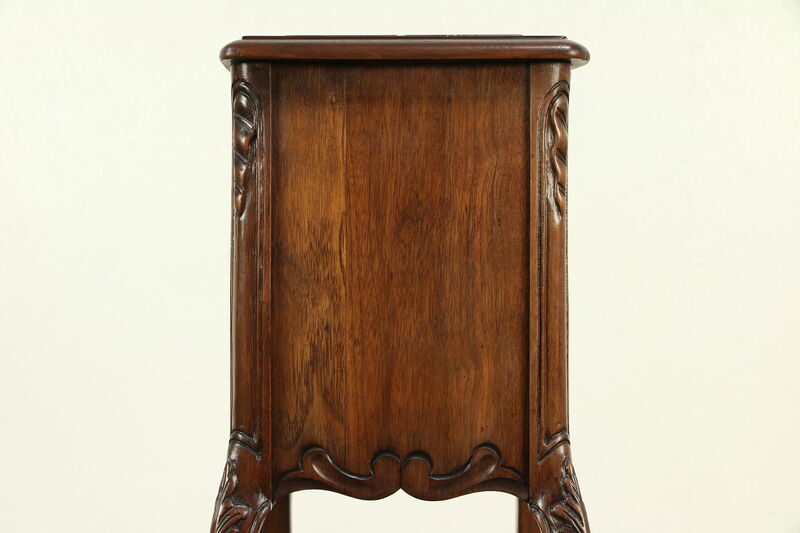 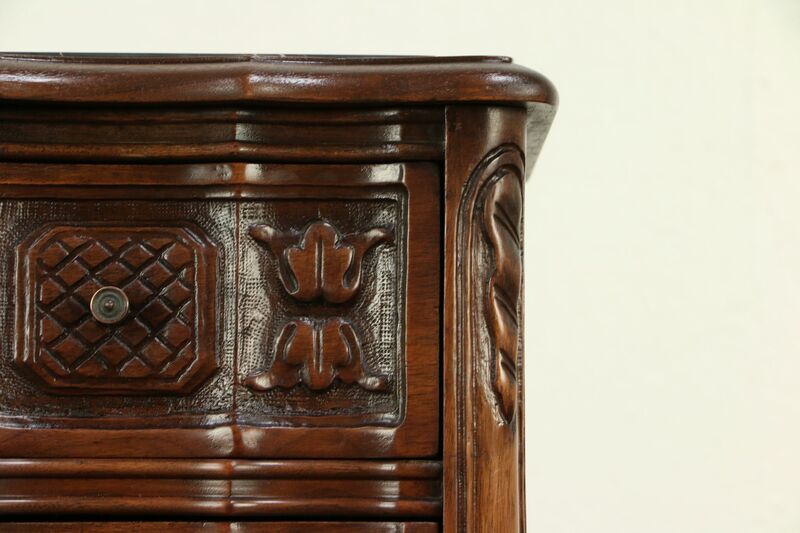 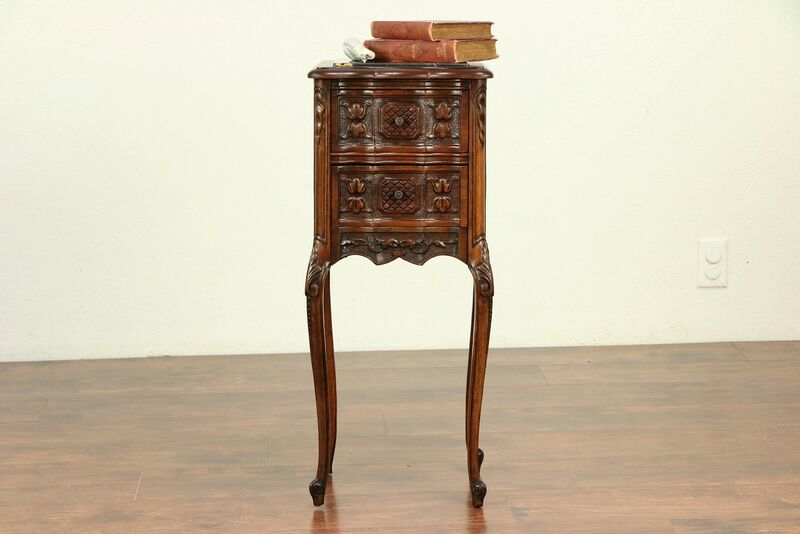 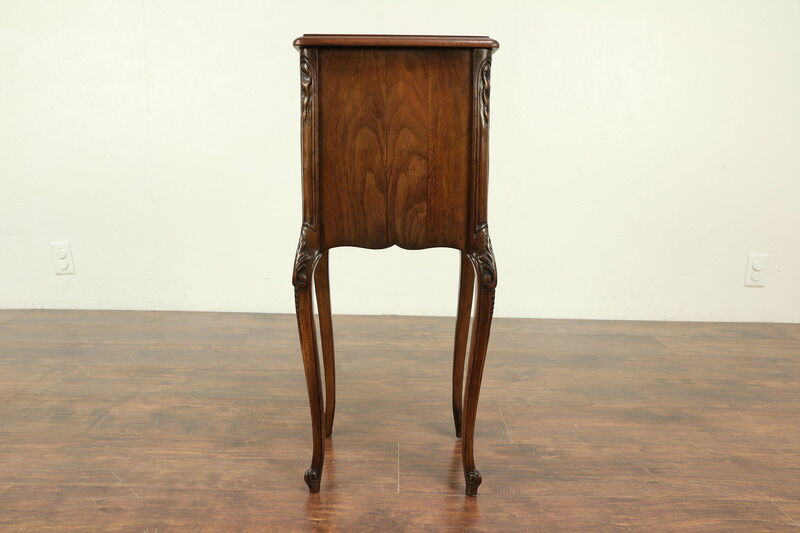 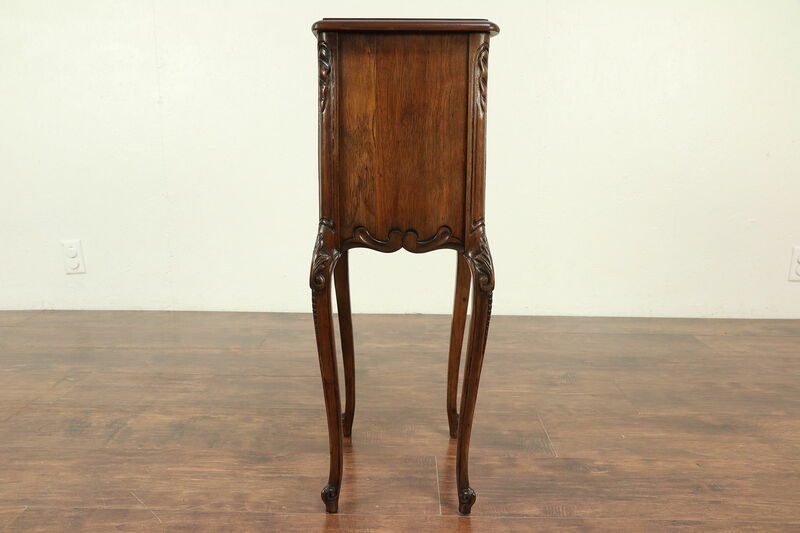 A 1920 era nightstand was richly carved of solid walnut in the French manner, and has a black marble top. 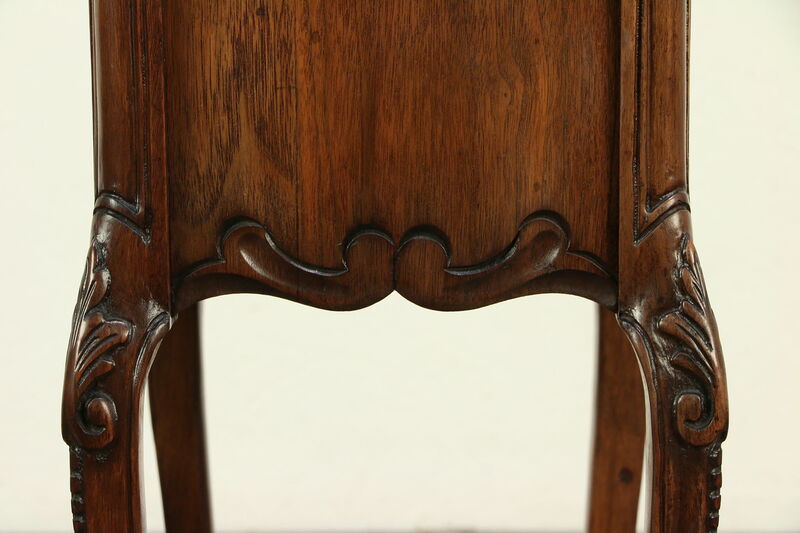 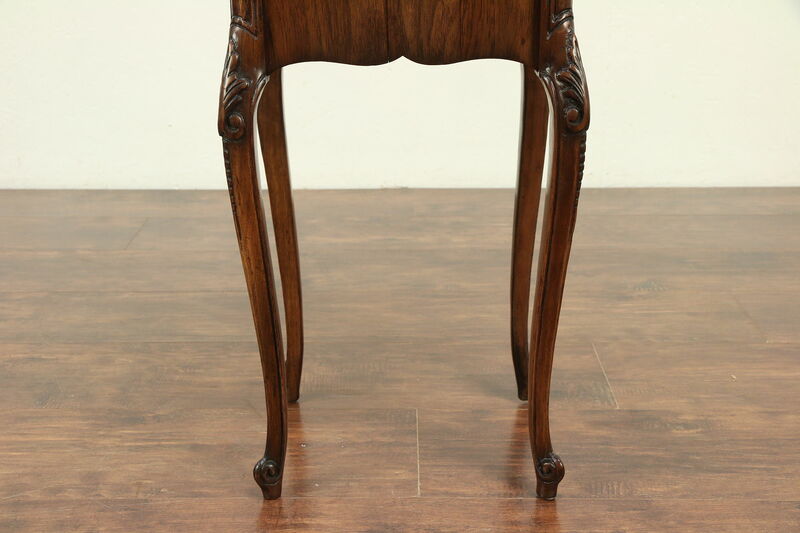 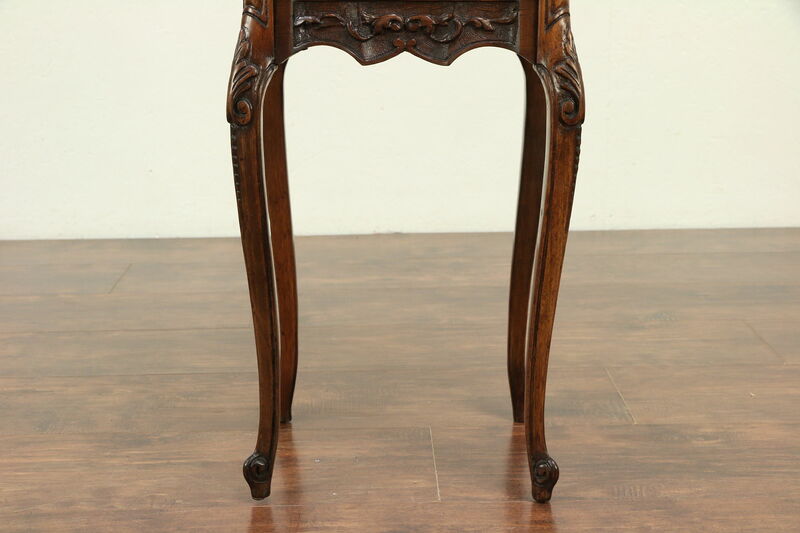 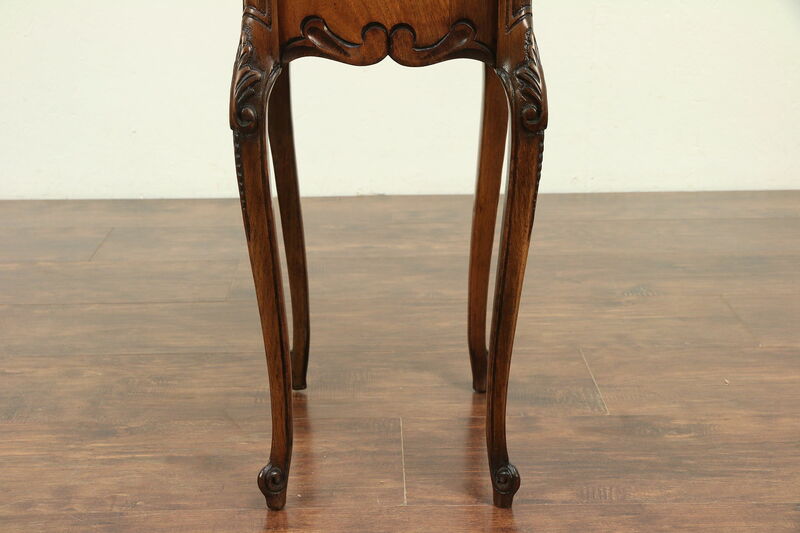 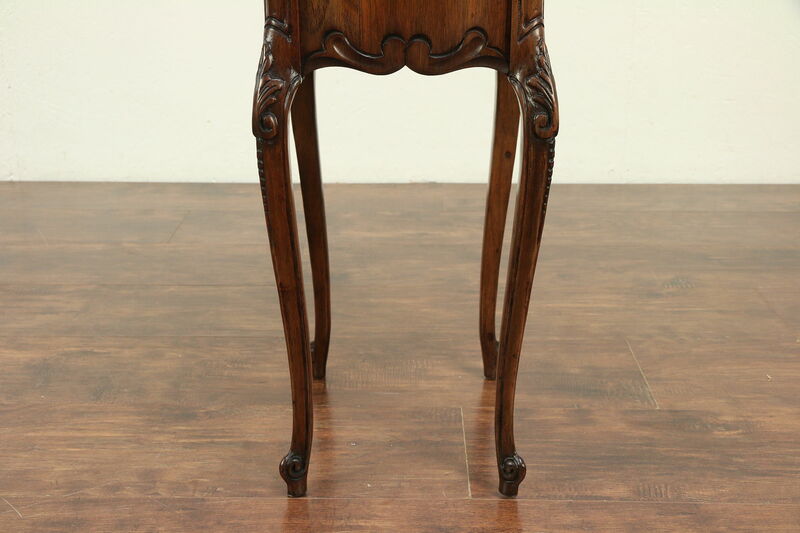 The restored finish is in excellent condition on this American made antique furniture. 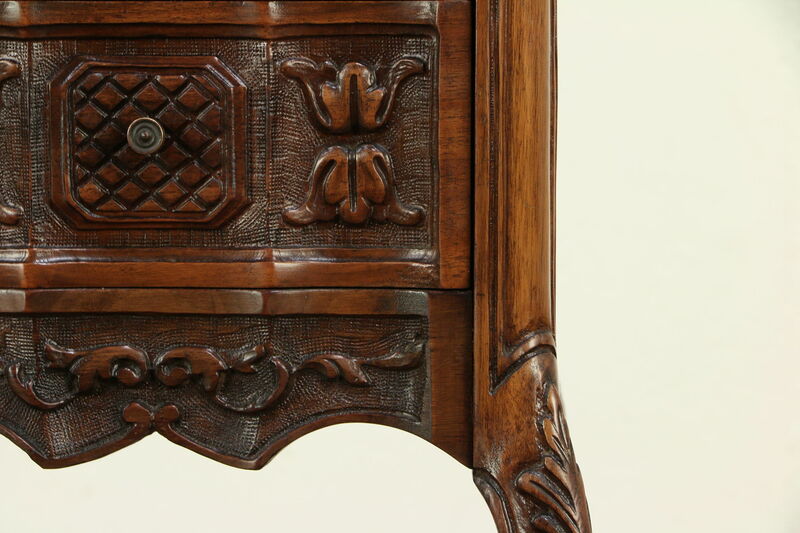 Drawers have solid oak sides with dovetail joints and original pulls. 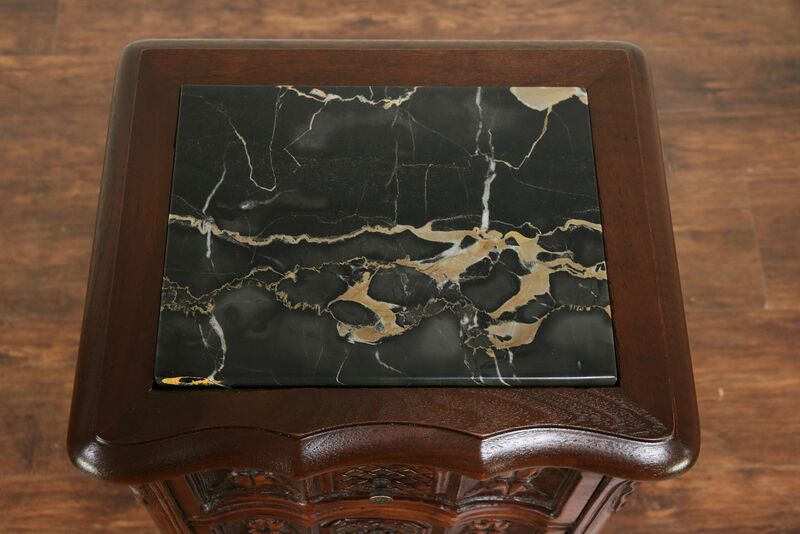 The famous "Nero Portoro" marble has been polished and given a protective finish. 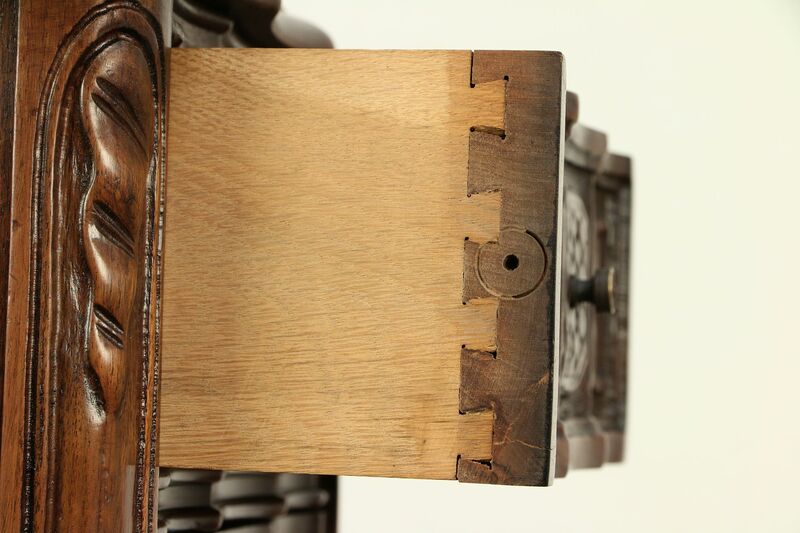 Dimensions are 12" wide, 11" deep and 29" tall.